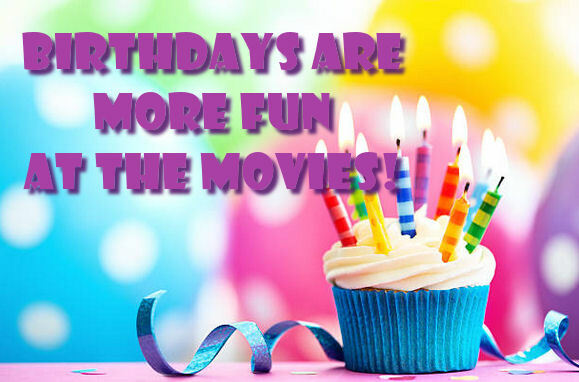 Have your next birthday party at Premiere Cinemas!! For more information and details about our party packages, simply download our Birthday Party Package form for the theater where you would like your party. Birthday party packages must be purchased at least 7 days in advance and are subject to availability. For parties at our Hollister location, you can contact us by email at customercare@premierecinemas.net, call us at (831) 638-1688 ext. 2 for reservations, or fax the completed form to (831) 638-0186. For parties at our Los Banos location, you can contact us by email at lbcustomercare@premierecinemas.net, call us at (209) 827-9191 ext. 3 for reservations, or fax the completed form to (209) 827-9494.